As the Mazda Road to Indy Shootout will be contested this weekend (December 9-10, Bondurant Racing School at Wild Horse Pass Motorsports Park in Chandler, Arizona), Open-Wheels will provide some driver spotlight features that put faces with the names of open-wheel racing’s future. First up in our driver spotlight series is a driver by the name of Spencer Brockman, a 17-year-old from Westport, Connecticut. In 2017, Brockman competed in Formula Atlantic and had a fine season, winning the FA Southeast Conference championship as well as the Hoosier Super Tour championship. 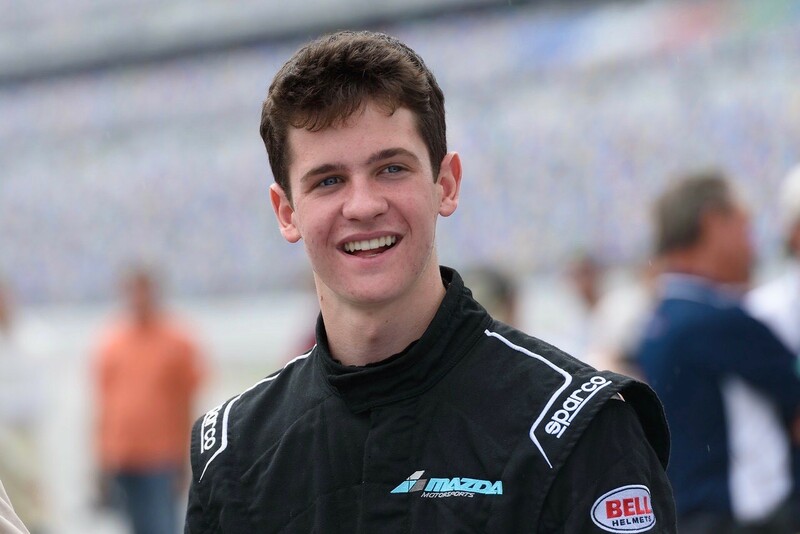 His performances in Formula Atlantic caught the eye of Mazda Motorsports, who have invited Spencer to the 2017 Mazda Road to Indy Shootout using one of the two at-large selections in the 2017 shootout class. Brockman got his first opportunity in a Mazda-powered race car in 2016, following a previous season racing F2000 and Formula Lites cars. “My father’s friend, Ove Olsson, had a new Formula Atlantic car that he had just built and needed a driver for the 2016 season,” said the Connecticut native. Over the course of the 2016 season, Spencer competed in four double-header race weekends in the SCCA Majors tour, and eventually returned to Mid-Ohio as a participant in the 2016 SCCA Runoffs. Preceding the runoffs event Brockman was able to score his first two career victories in an Atlantic car at Grattan Raceway, and those finishes validated the team’s belief that they could compete with the Honda-powered cars. “Leaving that weekend beating (Honda) showed how quick the Mazda could be straight out of the box and how I was going better driving the car,” Brockman explained. He would finish 3rd at the runoffs, driving a Swift 014 chassis that is slower than the competitors that finished ahead of him in Swift 016 cars. Spencer Brockman spent 2016 and 2017 competing in Formula Atlantic single-seaters. Following a galvanizing 2016 year that saw some impressive results and driving, Brockman would return to Formula Atlantic racing in 2017 with an expanded program. Spencer competed in six double-header weekend and added a USAC Pro Race appearance. Following the aforementioned Southeast Conference and Hoosier Super Tour championships he was again invited to the SCCA Runoffs, this time held at the historic Indianapolis Motor Speedway. Finishing the runoffs with an exact result from 2016 – 3rd place – Brockman held a greater satisfaction for 2017’s podium finish than the year prior. “This 3rd was much different than the year before,” the 17-year-old says. “We only completed one session all week and had less than 20 laps on track entering the big race on Friday. Our speed increased every lap and by the end of the race we were competing for the win. Also pleased with the steady progression of development was Mazda, the title sponsor of IndyCar’s Road to Indy ladder series. 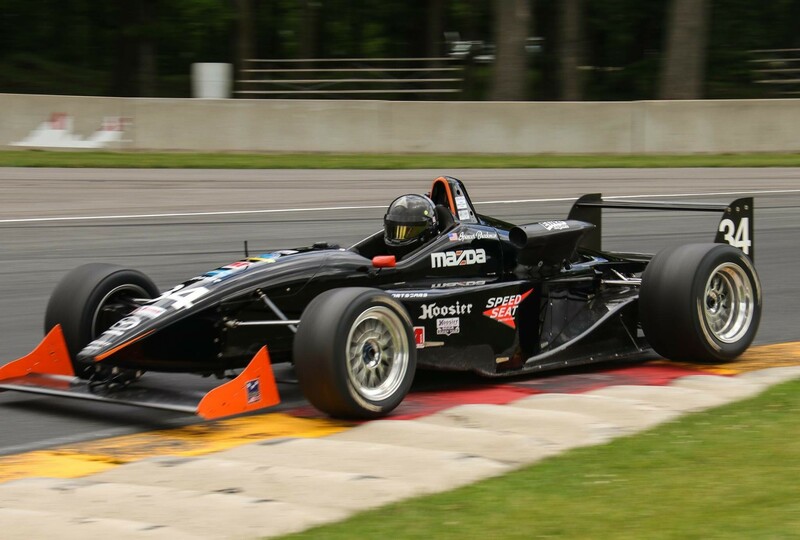 Rewarded for his efforts with the Swift 014 chassis and a Mazda powerplant, Brockman was invited to the 2017 Mazda Road to Indy Shootout for an opportunity to compete for the $200,000 scholarship in the USF2000 series. While the 17-driver field is certainly loaded with hungry contenders, look for Brockman to make the most of his opportunity this weekend in Arizona.